The same advanced acoustic engineering and industrial design from Klipschs' legendary Reference home theater speakers provide the performance, voice and design for the Klipsch Reference R6i II in-ear monitors. On top of the fantastic functionality and its luscious looks, the R6i II inovative headphones are a must have for your ears. After 60+ years of making legendary loudspeakers, Klipsch built upon their bold audio heritage to revolutionize the headphone industry. Since 2007 they have been creating the most innovative headphones on the market. 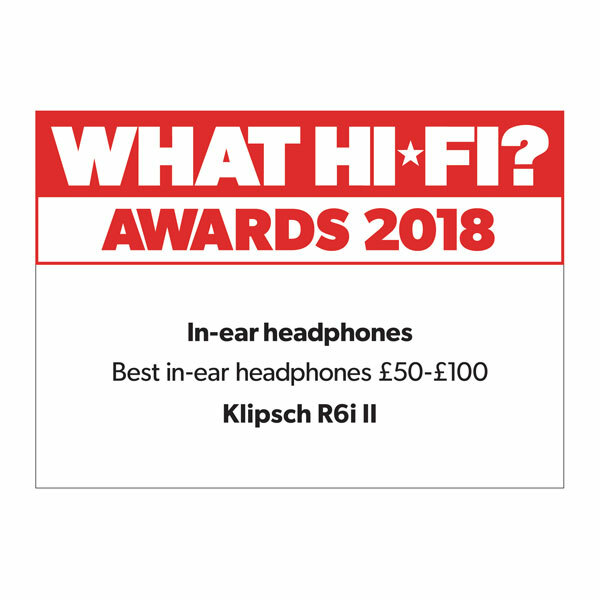 Klipsch are the performance and comfort winners. Period. The same advanced acoustic engineering and industrial design from Klipsch's legendary Reference home theater speakers provide the performance, voice and design for the Reference R6 monitors. They are engineered for pure performance and designed to be the best sounding most comfortable headphones on Earth and the embodiment of legendary Klipsch sound. Dual magnet moving coil drivers cover a wide frequency range with dynamic detail and deliver strikingly realistic sound. Available in black or white finish, each comes with a carrying case and four different sized ear tips so you can customize your perfect fit. “The Klipsch R6i IIs are a great pair of headphones that look and feel as if they should be more expensive, and give you a five-star sound quality without an ounce of reservation." Click here to read more at 'WhatHi-Fi.com'. "The Klipsch R6i IIs are a great pair of headphones that look and feel as if they should be more expensive, and give you a five-star sound quality without an ounce of reservation." 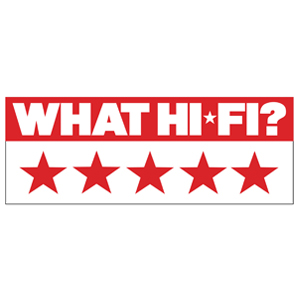 Read the full review on What Hi-Fi?